Grilled Whole Fish, Served With Roasted Vegetables And Lemon. Front View. Banco De Imagens Royalty Free, Ilustrações, Imagens E Banco De Imagens.. Image 78013059. 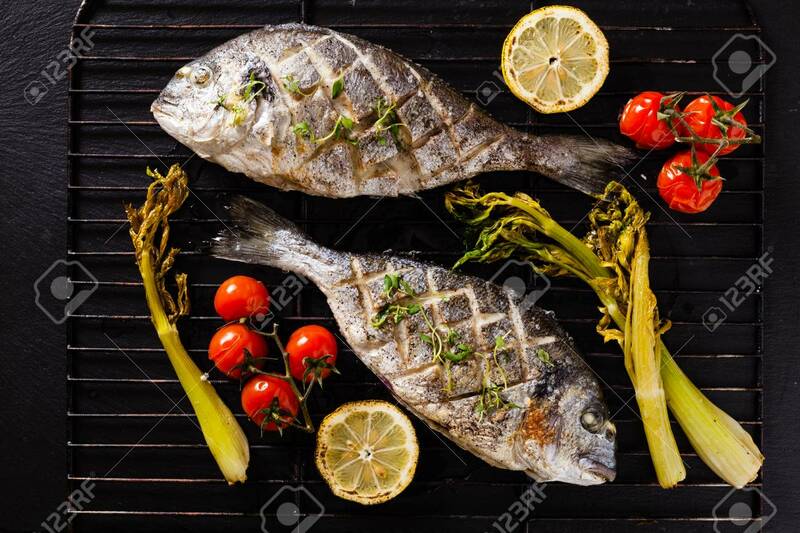 Imagens - Grilled whole fish, served with roasted vegetables and lemon. Front view. Grilled whole fish, served with roasted vegetables and lemon. Front view.